The Ford Explorer is a mid-size crossover and one of the most prolific cars on the road in North America. 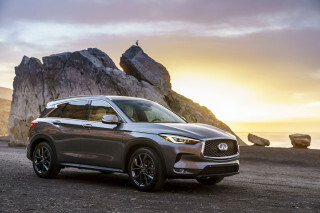 It was introduced in the 1990s as a truck-based, sport-utility vehicle, but in recent years has been transformed into a more car-like crossover SUV with very good performance, and less of an emphasis on off-road driving. A redesigned Explorer arrives for the 2020 model year after an unusually long run for the outgoing model. 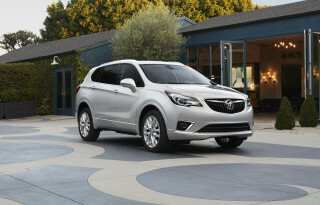 With the current Explorer, Ford has a competitor for vehicles like the Honda Pilot, Chevrolet Traverse, Nissan Pathfinder, and the Toyota Highlander. At its core, the latest Explorer is a rear-wheel-drive wagon with a little bit of crossover-style and all-weather driving ability. It can seat up to seven people and can be configured with a turbo-4 or V-6 engines. The sixth-generation Ford Explorer bowed in January 2019 riding on a new rear-wheel-drive platform shared with the Lincoln Aviator. At launch, a 2.3-liter twin-turbo-4 rated at 300 hp comes standard and a 3.0-liter twin-turbo V-6 rated at 365 hp is optional. All-wheel drive is available and all Explorers use a 10-speed automatic transmission. An Explorer hybrid arrives shortly thereafter with a naturally aspirated V-6 tied to a lithium-ion battery and an electric motor. At the opposite end of the spectrum, the Explorer ST features a buttoned-down suspension and a 400-hp engine. The redesigned Explorer makes big safety and technology strides. 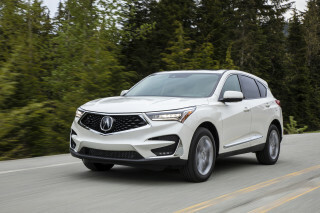 Active safety tech not available on the previous Explorer is now standard, including automatic emergency braking with pedestrian detection and active lane control. Adaptive cruise control is optional and it works with a forward-facing camera that can read speed limit signs and adjust the SUV's speed accordingly. Inside, the Explorer boasts an 8.0-inch touchscreen for infotainment as standard, but uplevel models offer a 10.1-inch display that's mounted vertically like a tablet sitting on a shelf. A 12.3-inch digital instrument cluster is optional. The Explorer seats six or seven passengers depending on whether a three-piece second-row bench or two individual captain's chairs divided by a low center console are ordered. The second row slides forward for access to the third row. A power liftgate is standard equipment. In its past, the Explorer was more directly related to Ford's small pickup trucks and was offered in many more versions—everything from a manual-shifted three-door to a V-8-powered quasi-pickup. Introduced for the 1991 model year, the Explorer was distantly related to the Bronco II that it replaced. Compared to that stubby, basic two-door, the Explorer was packaged and marketed much more successfully. 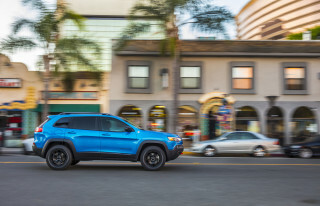 It practically inaugurated the SUV era in America along with the Jeep Grand Cherokee, and quickly became one of the best selling, most recognizable and popular vehicles in the U.S., with annual sales approaching a half-million. Those earliest Explorers were three-door and five-door wagons, and quite crude devices that drove like short-wheelbase compact pickups. In fact, there were still a few shared parts with the Ford Ranger truck. A shortened three-door Explorer Sport was offered through 2003, while a four-door Explorer Sport Trac with a small pickup bed was offered through the 2010 model year. The first-generation Explorer came under fire in 2000 and 2001, when a number of rollover accidents—linked to underinflated or improperly specified Firestone tires—led to the model's recall and replacement of the tires. From that recall, and the hearings around it, grew the federal requirement for tire-pressure monitoring and also arguably sped the deployment of electronic stability control. It also severely hurt the Explorer's brand image, causing sales to plummet. That happened despite the much-improved Explorer that emerged after a full redesign in the 2002 model year. Standard equipment included an independent rear suspension, and a third-row seat became an option for the first time. In 2006, more safety features were added, and the exterior styling was smoothed over. Through this era, the Explorer's interior functionality also got better, with usable seating space for up to seven, and third-row seating that became easier to use. Still, Explorer sales never had quite recovered after the tire-separation issue, and buyers started to migrate to more carlike crossover vehicles like the Toyota Highlander. That Explorer was a better-handling, more refined vehicle than its predecessor—and still is a good recommendation for its towing capacity for those that don't need a full-size SUV. The 4.6-liter V-8 was popular for hauling; the 4.0-liter V-6 wasn't responsive or smooth or particularly powerful—or even more efficient, the V-6 versions were rated nearly identically to the V-8 versions. Introduced for the 2011 model year, the fifth-generation Explorer traded in some rock-climbing ability for more all-weather comfort and family practicality. Ditching the body-on-frame design, the car-based Explorer arrived with seven-seat capability, electronic assistance for its all-wheel-drive system, and a 3.5-liter V-6 engine teamed with a 6-speed automatic. A turbocharged 4-cylinder engine became an option for the 2012 model year, and delivers up to 28 mpg on the highway—some 25 percent better than any Explorer before it. For 2013, a turbocharged V-6 was added as a V-8 replacement. The latest Explorer is among our top-rated vehicles for families for its interior and fuel economy as well as for its carlike handling and good safety record. It gets the highest rating of "Good" from the IIHS on all tests except the tougher small-overlap front crash, where it's rated "Marginal"—just one step above the lowest "Poor" rating. The NHTSA gives the current Explorer a top, five-star overall rating for safety. 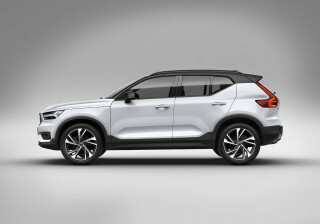 The current Explorer also includes all the latest connectivity systems, including a navigation system with Sirius Travel Link and Sync, which uses Bluetooth to enable voice control of some vehicle systems. There was also MyFord Touch, a system that used steering-wheel or voice controls to direct audio, navigation, and phone with a large LCD touchscreen to display the interface. The system was derided and replaced in 2017 with Sync 3, a system that doesn't escape faults. We've tested it in other vehicles and found it to be slick, albeit a little laggy and confused in certain situations, most noticeably in selecting day/night display modes during dawn and dusk. Ford brought back the Explorer Sport badge in 2013. Instead of a two-door variant like its predecessor with the same name, this version uses the 3.5-liter EcoBoost V-6 from the latest Taurus SHO, making 350 hp. It is paired with standard all-wheel drive and includes more standard features as well as suspension and steering improvements. Ford sees the turbocharged V-6 as a replacement for the Explorer's previous V-8 models, making it the closest thing to a performance-oriented Explorer we're likely to see. Its 0-60 mph times are 2 seconds quicker than the standard V-6 Explorer, while towing up to 5,000 pounds. The EPA has rated the Explorer as high as 27 mpg on the highway in 4-cylinder front-wheel-drive guise, with all-wheel drive models earning 18 mpg city, 25 highway ratings. A revised version of this Explorer went on sale for the 2016 model year. The interior and exterior were given a subtle once-over, with the exterior design now resembling a Land Rover's more than ever. The look is much more sophisticated, with finer details and a more cohesive front-end treatment. A Platinum model has been added at the top of the range, and there's a new 2.3-liter turbo-4 available as well, bringing the available engines to three. For 2017, Ford added a sport appearance package to lower trims that replicates the Sport trim's good looks for a lower price. Sync 3 also replaced the finicky MyFord Touch system with limited effect. The 2018 Explorer had some mild cosmetic touch-ups, and LED headlights now come standard on Platinum models. A high-speed data subscription now brings 4G LTE connectivity into the Explorer, and up to 10 devices can use its access. All around good looking vehicle at a lower price then the pilot or highlander. 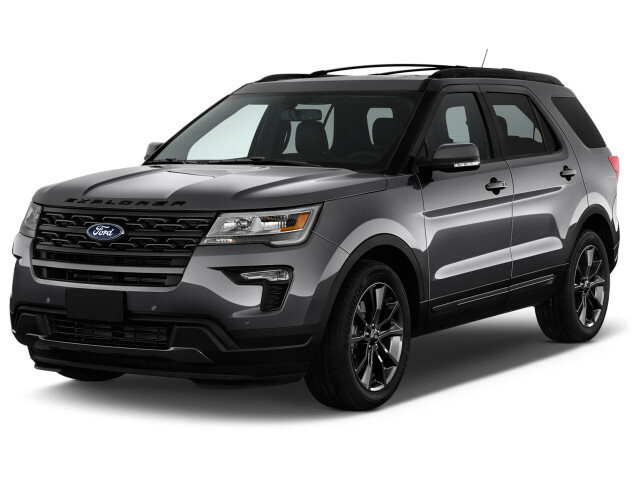 I have owned 2017 ford explorer for 2 years and I enjoy absolutely everything about this SUV. Engine is outstanding and 4wd is the latest. I have own 0ne 2013 Edge and a 2015 and 2017 Explorer and have found all to be excellent vehicles and reliable.